1. 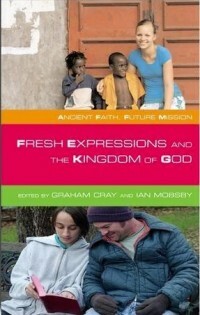 Emerging and Fresh Expressions of Church. How are they authentically Church and Anglican? The doctrine of the Trinity resonates deeply with today’s fresh expressions of church as it allows for a divine open-endedness that refuses to be bound by fixed meanings or absolute certainty. It provides a framework for understanding new forms of spiritual seeking and the changing shapes of church. In an age of individualism, it speaks with great prophetic challenge. The Trinity transcends simplistic definitions of God and allows for a multiplicity of approaches. 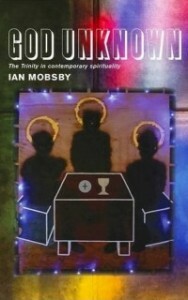 An essential volume for all engaged in mission today, God Unknown shows how a renewed understanding of the Trinity can illuminate mission, worship and spirituality practice in today’s secular culture. 3. A New Monastic Handbook. From Vision to Practice. Mission Shaped Church, the groundbreaking report which has sold over 20,000 copies has transformed understandings of mission. Fresh Expressions, which sprang into being in its wake, is an established presence in Britain, the USA and Canada. This important book poses a challenging question: what are the aims of mission and are they being achieved through Fresh Expressions?This book argues that mission is equally about social transformation or, in biblical terms, building the kingdom of God, as well as building the church. 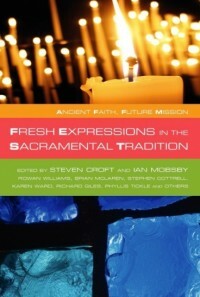 Theological reflection and stories from front line practitioners in churches in the sacramental traditions (with their heritage of service in poor communities) combine to create a unique, timely and valuable resource which includes contributions from leading names in the study and practice of mission today. 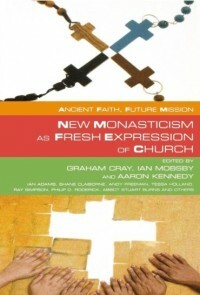 This title explores the emergence of monastic spirituality – not just as a resource for personal formation, but for building fresh expressions of church.Leaders of traditional religious communities and emerging ‘new monastic’ communities tell their stories,reflecting on how an ancient expression of being church is inspiring and shaping a new one. 7. Generous Ecclesiology. 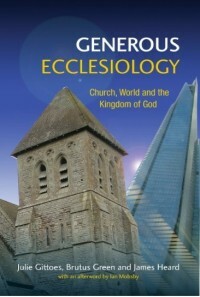 Towards a Generous Ecclesiology: Church, World and the Kingdom of God. Generous Ecclesiology seeks to present a positive theological response to the issues raised by Mission-Shaped Church and For the Parish. 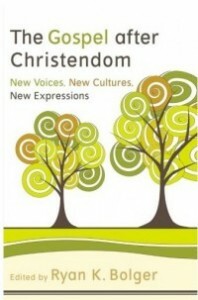 The former reminds us that the church is to engage in creative and imaginative ways with our missionary calling. The latter affirms the place of inherited patterns and structures which cannot simply be discarded. Alert to the danger that discussion about tradition and innovation can become polarized; the editors recognize that living in relation to a generous God shapes our ecclesiology. This vocation is formed by a double constitution of worship and mission. This vocation is for the sake of the Kingdom of God. Generous Ecclesiology takes as its basis the uniqueness of the church’s calling in God’s world, a world embraced by the generosity of his love. This collection is a contribution to an ongoing conversation; to this end, it engages with a rich range of dialogue partners, historically, ecumenically and culturally as well as theologically. It seeks to offer a rigorous theological resource – inspiring us to drink deeply of the wells of our tradition and inherited patterns. Whether implicitly or explicitly, these essays reflect on or are shaped by the ordinary concerns, challenges and opportunities of ministry. Emerging and missional church movements are an increasingly global phenomenon; they exist as holistic communities that defy dualistic Western forms of church. Until now, many of the voices from these movements have gone unheard. In this volume, Ryan Bolger assembles some of the most innovative church leaders from around the world to share their candid insider stories about how God is transforming their communities in an entirely new era for the church. 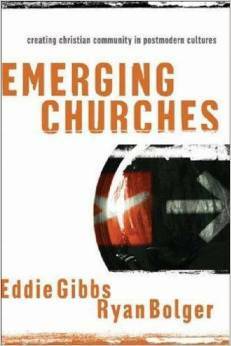 Bolger’s new book continues the themes that he and Eddie Gibbs established formally in their critically acclaimed Emerging Churches and situates new church movements within this rubric. It explores what’s happening now in innovative church movements in continental Europe, Asia, and Latin American and in African American hip-hop cultures. Featuring an international cast of contributors, the book explores the changes occurring both in emerging cultures and in emerging and missional churches across the globe today. Ryan K. Bolger (PhD, Fuller Theological Seminary) is associate professor of church in contemporary culture at the School of Intercultural Studies and academic director of the master of arts program in global leadership at Fuller Theological Seminary in Pasadena, California. His research focuses on the emerging and missional church movements, and he is the coauthor of Emerging Churches: Creating Christian Community in Postmodern Cultures. Thomas Aquinas is the most widely read and arguably most influential of the medieval philosophers. He is famous for his impressive and coherent synthesis of Greek Philosophy and Christian Theology and his magisterial Summa Theologiae is a hugely important, and enduring, text in the history of philosophy. 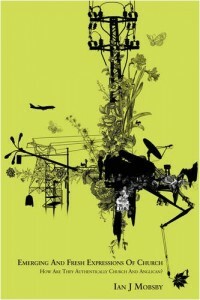 Yet he is also a very difficult thinker and his ideas present a number of challenges to his readers. Aquinas: A Guide for the Perplexed is a clear and thorough account of Aquinas’s thought, his major works and ideas, providing an ideal guide to the important and complex writings of this key thinker. The book introduces all the key concepts and themes in Aquinas’s thought and examines the ways in which they have influenced philosophical and theological thought. Geared towards the specific requirements of students who need to reach a sound understanding of Aquinas’s ideas, the book serves as a clear and concise introduction to his philosophy and natural theology. 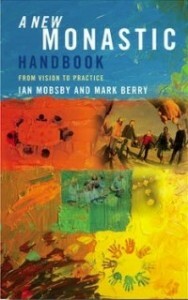 This is the ideal companion to the study of this most influential and challenging of thinkers. This is a major study of changing church patterns in the West. In many parts of Europe and North America, the decline of the major traditional denominations continues unabated. But it seems that people these days are not less religious: rather their religious beliefs are rooted in personal experience rather than in community identity and loyalty to historic institutions. For the first time, religion is being chosen rather than received and this change has contributed to the growth in frontier fellowships, commonly known as the ‘emerging church’. 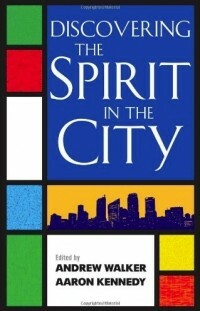 This book is intended to offer a multinational, Spirit-inspired testimony to the insights of these ‘new, fragile, vulnerable’ groups and churches. Filled with the latest research on what’s happening on both sides of the Atlantic, it also features fascinating interview testimonies from forty-nine emerging church leaders on the cutting edge of ministry, including: Jonny Baker (Grace, London), Phil Bail (New Generation Ministries, Bristol), Kester Brewin (Vaux, London), Mal Caliadine (Tribal Generation, Sheffield), Steve Collins (Grace, London), Simon Hall (Revive, Leeds), Ian Mobsby (The Epicentre Network, London) Paul Roberts (Third Sunday Service, Resonance, Bristol), Pete Rollins (Ikon, Belfast), Dan Slatter (Warehouse, Chichester), Andy Thornton (Late, Late Service, Host and Vaux, London), Dave Tomlinson (Holy Joes, London), Sue Wallace (Visions, York).